IS CALIFORNIA GOING TO POT? 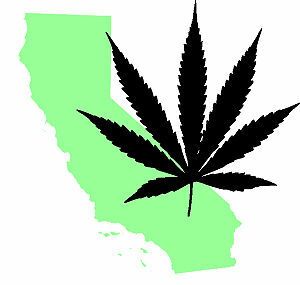 Californians will vote on an initiative to legalize marijuana possession on November 2. And apparently, the voters are increasingly in favor of the idea. The most recent Field Poll found that nearly one-half of California's likely voters now support the legislation. "The numbers have flipped (on Proposition 19) since our July poll," Mark DiCamillo, the poll's director, told the San Francisco Chronicle. "That's a major change in the direction of public feelings on legalizing marijuana." Proposition 19 would allow those over age 21 to possess no more than one ounce of the drug, as well as operate a "grow room" for personal consumption, and permit cities and counties to regulate the cultivation of marijuana and tax its distribution. 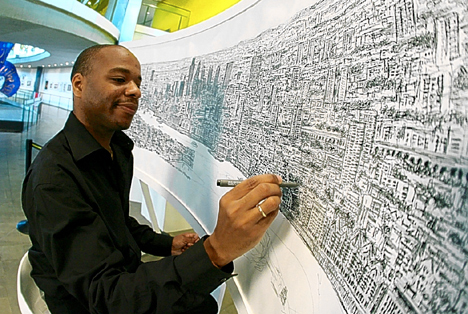 Autistic, mute until he was five years old, Steven has the uncanny--some would say "amazing"--ability to draw unimaginably complex cityscapes after only a short helicopter viewing. Here is a video of his work; here's the link to his website.